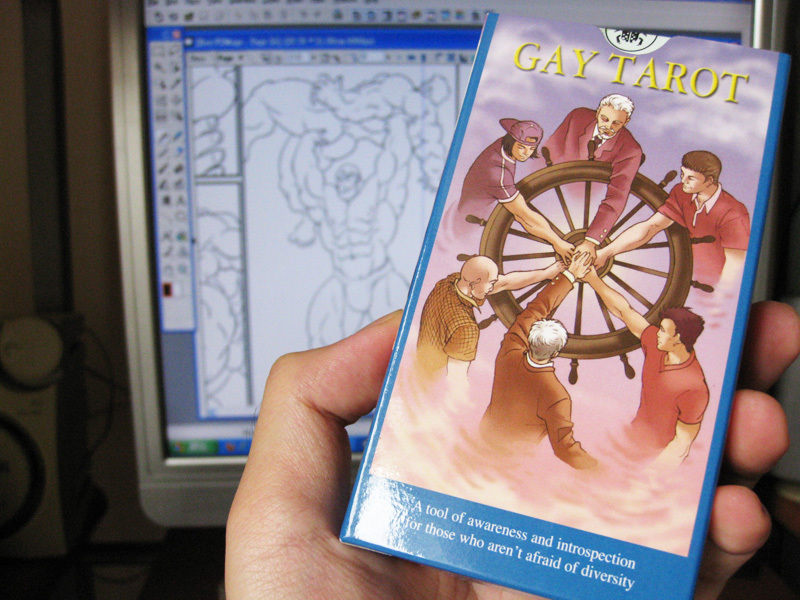 This arrived in the mail yesterday, it's the Gay Tarot deck I've ordered from Amazon.com two weeks ago. I was searching the Internet for some inspirational gay artworks earlier this month, and came across this familiar type of image, they were Tarot cards with artworks promoting gay life styles. At first, I was surprised and anxious, then a strong desire of possession risen inside me. I start to search for retailers on the web, after few observations and comparisons, I decided to purchased two copies from Amazon.com, one for reading and the other kept sealed for collection. 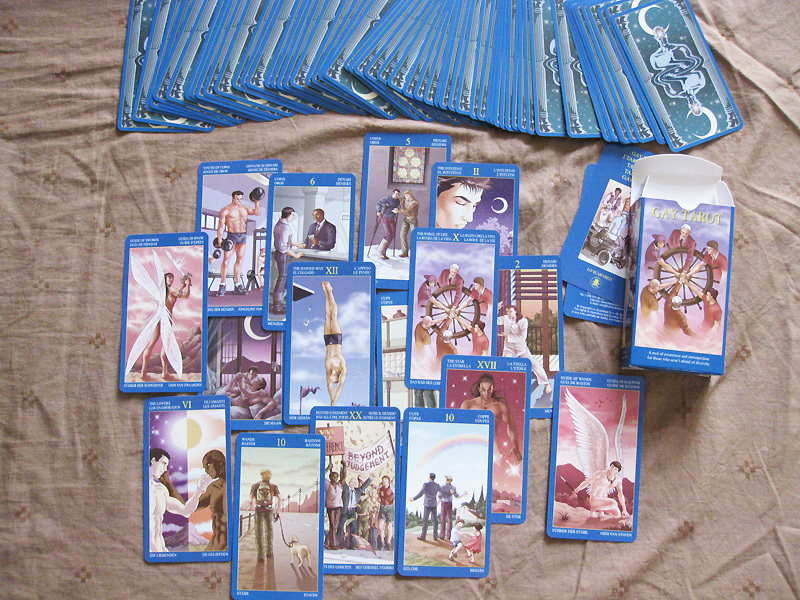 probably wont be welcomed by the majority Tarot card readers, but some collectors might pick it up. I have to say, the artworks are just magnificent and beautifully illustrated, but you might need a magnifying glass to see the details. I once owned a deck of those. They never worked for me, so I gave them to a friend. They are very beautiful though. Wow these are nice! Great find! I wish there was more of these around.